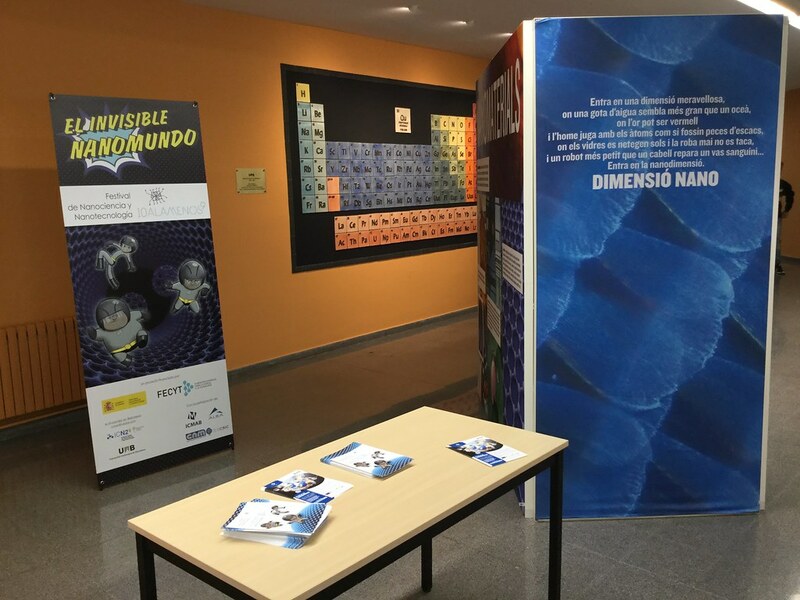 ICMAB participated in the activities in Campus UAB-Bellaterra, and in Barcelona (Cosmocaixa). Firstly, on April 25th, we received two highshool visits, one from Ins Terrassa (Terrassa), and the other one from Ins La Serra (Mollerussa). The students (around 25 in each group), together with their supervisors could visit some of the laboratories at ICMAB. Firstly, Anna May introduced the centre and showed some of the nanomaterials synthesized at ICMAB, with the "Nanomaterials toolbox". Materials such as gold nanoparticles, graphene, silica aerogels, superconducting materials or bacterial cellulose. After that, Amable Bernabé showed them the SOFT Lab installations, with its "supercritical CO2 reactors", used to synthesize nanovesicules for nanomedicine applications; and Antonio Sánchez showed them some of the solar cells synthesized in the NANOPTO group and some of their installations to measure their efficiency. On April 26th, Anna May gave a "demonstrative seminar" about different nanomaterials and explained some of their applications in commercial products. The students could see and touch the materials, and were very surprised about how light is a silica aerogel, about the color of gold nanoparticles, and about the magnetism of iron oxide nanoparticles, for example. 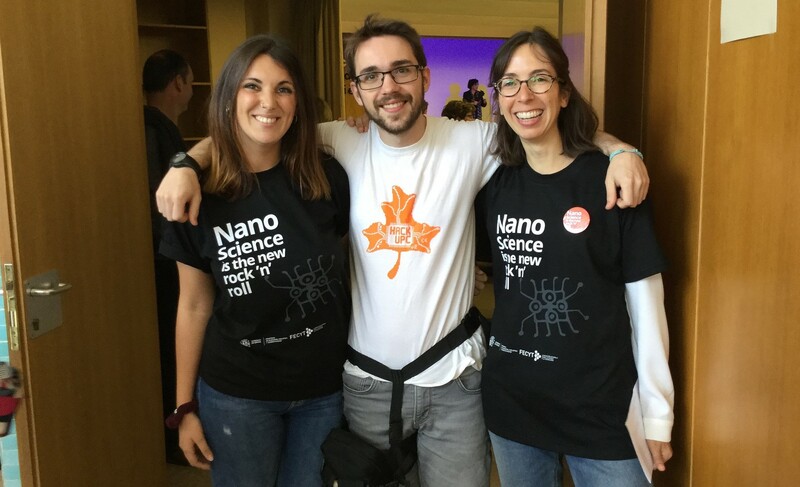 Cosmocaixa hosted most of the 10alamenos9 activities in Barcelona; during both days, the museum was full of students immersed in nanotechnology. On the same day, Anna Laromaine gave a talk on nanomedicine at the "Casa de Cultura" in Sant Cugat. Alex Argemí (from ICN2) gave an introductory talk on nanotechnology, and Francesc Pérez (CNM) gave a talk on nanoelectronics. Some demonstrative experiments were performed in-between the talks, to show some of the properties of nanomaterials. 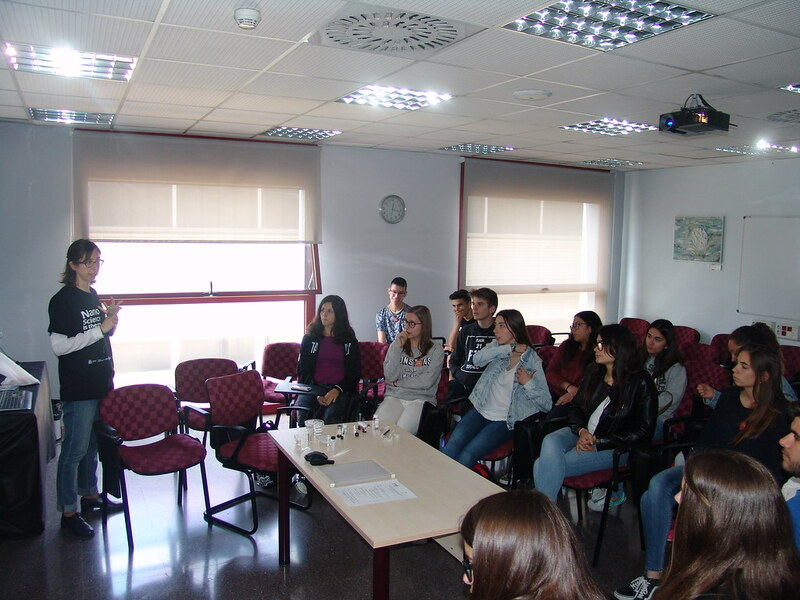 The week before, on April 22nd, Anna May also participated in the III Nano-Outreach Meeting, in which she presented the outreach activity "A researcher in your classroom", in which voluntary scientists from ICMAB go to a high school class and explain their job and their research to the students. This activity is very popular among students, who are happy to see scientists in their own classroom. In the Nano-Outreach Meeting, other research centers presented some interesting outreach activities, such as NanoKomik or NanoEduca. Nanoscience and nanotechnology is not the future, it is already the present, and it is important to give the tools to young people, to fully understand their basic concepts, to be able to understand its implications, risk, opportunities and applications, and to be critical with their opinions. Nanotechnology outreach activities are necessary to increase the general knowledge related to this science discipline in our society. Looking forward for next year's 10alamenos9 Festival!